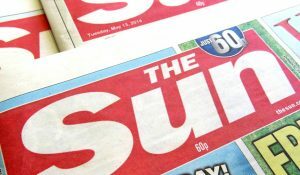 Labour has banned the sale of The Sun newspaper from its party conference in Liverpool. The paper, which is widely boycotted on Merseyside over its coverage of the Hillsbrough disaster, had been on sale at a stand sponsored by owner News UK. Mayor of Liverpool Joe Anderson told the Liverpool Echo: “I don’t know how that was allowed into the conference centre. A Labour spokeswoman confirmed that the stand at ACC Liverpool had been told to remove the paper by general secretary Iain McNicol. She said: "As soon as we became aware of the complaint the general secretary immediately instructed the exhibitor to remove the copies of the paper from display." But Conservative MP Nigel Adams, a member of the Culture, Media and Sport Committee, said the ban was “absolutely astonishing”. “An independent free press is vital to our democracy. Someone needs to tell the Labour Party this is Great Britain, not North Korea," he said. The conference comes to a close today with a speech from leader Jeremy Corbyn.